Home > Blog > Can I withdraw my term deposit before maturity? Term deposits are a generally low-risk ways to invest your money at a fixed interest rate for a set period. 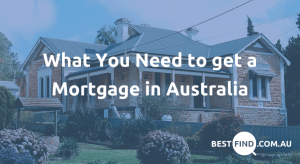 They’re amongst the most straightforward financial products available, but do prevent you from instantly accessing your money throughout the entire deposit period. What happens if I need access to my funds? Withdrawing your term deposit before maturity is not a straightforward task. When you deposit with a bank or credit union, that institution typically uses this money to lend to other customers. The high interest rates associated with term deposits is thus an incentive for you not to withdraw while these funds are being used for other purposes. When you do need to terminate your deposit early, it’s normal to be faced with financial penalties. Because you’ve essentially committed your funds for the period of your term deposit, it’s often necessary to give 31 days advance notice if you’d like to make an early withdrawal. It’s best to consider whether you’re sure about locking away your funds before you open a term deposit. If you decide that you’d like to invest your money elsewhere or if you need them in case of an emergency, you’re likely to be faced with a range of different penalties for withdrawing before maturity. Different institutions will charge different fees, which might be called early withdrawal fees or prepayment penalties depending on your institution. A common penalty for withdrawing early from your term deposit is for your bank to apply a reduced interest rate to your remaining funds. The amount of the decrease will often be larger if you have a longer term remaining. For example, a term deposit earning 3% per annum and withdrawn fairly early may be penalised by dropping to 2% per annum, while a deposit termination made later on might only incur a 0.5% per annum penalty. Another penalty charged by some institutions is a break fee, which will also vary between institutions. Reading the fine print of your term deposit agreement is generally a good way to understand what your penalties might be before you invest. It’s worth doing this before you choose a term deposit that suits you, so you can decide if it’s the product for you. Very frequently term deposits will come with minimum balance requirements. What this means is that even if you aren’t withdrawing the entire deposit before maturity, it’s possible you’ll be lowering your overall balance to below the minimum amount required. If this happens, it’s often the case that the bank will close your term deposit account automatically. It’s also not unusual for the interest rate reduction to be applied on top of the remaining deposit. 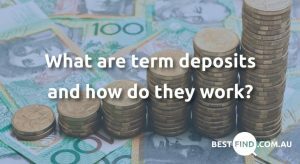 Can I avoid term deposit fees? Your bank is not legally required to comply with your early withdrawal request. A lot of the time you’ll need to get the institution’s approval in order to withdraw funds before maturity. Your provider may waive the 31 day notice period if you’re applying to withdraw for reasons of financial hardship. Some institutions do not charge penalties for partial term deposit withdrawals, which can be an advantage when you’re weighing up different options at the start. 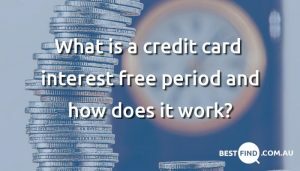 ‘Cooling-off’ periods are a feature of some term deposits, and these give you a chance to withdraw your funds and close your mind penalty-free if you simply change your mind.